Dried reconstituted vesicles (DRV) are liposomes that are formulated under mild conditions and have the capability to entrap substantially high amounts of hydrophilic solutes (compared with other types of liposomes). These characteristics make this liposome type ideal for entrapment of labile substances, as peptide, protein or DNA vaccines and sensitive drugs. 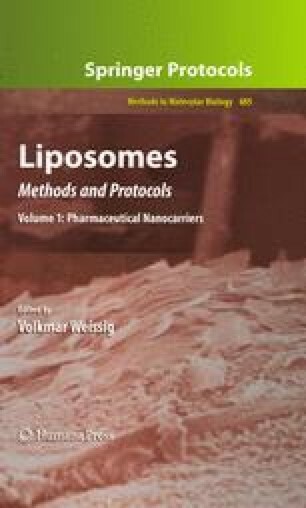 In this chapter, we initially introduce all possible types of DRV liposomes (in respect to the encapsulated molecule characteristics and/or their applications in therapeutics) and discuss in detail the preparation methodologies for each type.